St. Vincent’s Healthcare, a member of Ascension Health, consists of three hospitals serving the greater Jacksonville area. 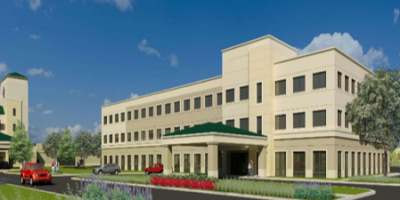 In 2011, St. Vincent’s Healthcare embarked on the mission to build a new 64-bed hospital in the growing yet underserved area of Clay County, Florida. To assist St. Vincent’s with recruiting physicians to the new hospital, Johnson Development structured the new medical office building project as a physician-owned entity providing the physicians the opportunity to own the majority of the building. That structure and the strong physician ties to St. Vincent’s and Clay County, the building was 100% pre-leased and planning for a second building is underway. Johnson Development worked closely with the contractor, city officials and hospital administrators to coordinate construction timing of the MOB with the adjacent hospital being built simultaneously. The MOB was delivered on-time and within budget. Johnson Development was responsible for all activities as part owner and developer including organization of physician partners, financing, leasing, oversight of design, and construction of the project as well as the immediate site work around the MOB. Johnson Development continues to provide property management services.